Our goal is simple, to help you develop a passion for the game of golf and have fun doing it. Whether you are playing golf for the first time or an avid player simply looking to shave off a few strokes, we have a program for you. Patio w/umbrellas – BEST VIEW IN TOWN! West Course was the first course to be built in Lake Havasu City. Robert P. McCulloch Sr., the founder of Lake Havasu City, realized the value of a golf course and built it, along with purchasing and moving the London Bridge, as an attraction to draw prospective land buyers to the newly developing city. West Course has a traditional layout with numerous water hazards and sand bunkers throughout the entire course. It stretches out to 6466 yards and has Bermuda grass on fairways and greens which are overseeded with rye grass during the winter months. Due to the popularity of the West Course, a decision was made in 1975 to build a second course. The East Course opened for play in 1977. Although shorter in length at its’ maximum yardage of 6140, is by no means easier. The East Course features narrow fairways and medium-sized greens that are fast and well bunkered. Coming into play on holes 9, 10, & 11 is the largest water feature on our property. 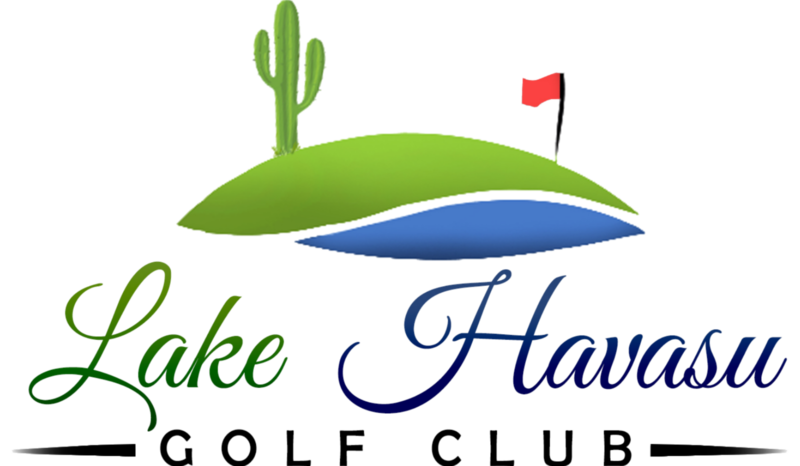 Built mainly to the North and East of the West course, the East course offers many elevation changes that provide fabulous views of Lake Havasu and the surrounding city. Hit it straight and you will get the maximum enjoyment from your round on this par 72 layout. The Lake Havasu Golf Club, formerly known as London Bridge course was the first golf club built in the city. In 1965, when construction of the course started, Robert P. McCulloch Sr., the founder of Lake Havasu, realized the value of a golf course as a marketing and promotional tool to draw visitors to his newly developing city and to view the infamous London Bridge which he had purchased off the auction block in the early 1960’s. Around the course, he envisioned large homes, which are there today, backing onto the fairways, giving residents desert landscapes in front of their homes and lush green expanses at the rear. The course was designed, in part by Johnny Allen, the courses’ first professional. The front nine holes opened in late 1967 followed by the back nine holes in the spring of 1968. The course was an immediate hit and has been heavily played since it opened. The level of play on the London Bridge course grew steadily and a decision was made in 1975 to build a second course. In 1977 the Stonebridge course opened for play. The reputation of the London Bridge course spread soon after it opened and became well known throughout the Southwest. In 1970 the Arizona Open was played at the London Bridge golf course, and was won by Jim Marshall. The course was a stop on the National Golf Association mini-tours in the early and mid – 1970’s and on the LPGA mini – tour. A number of celebrities have also played the London Bridge course including movie actor Charleston Heston and television game show host Dennis James. Baseball great Maury Wills was one of a host of players to challenge the course, as did sportsman Bobby Riggs. Professional golfers including Ray Floyd, the 1989 non-playing captain of the US Ryder Cup team, and Donna Capone have used the course and Lake Havasu City as a stopping point between tournaments and have conducted clinics at the golf club. . There are several tournaments held every year on the London Bridge courses, including the Men’s and Women’s club championships. Golf clubs and groups from as far away as , Idaho, Minnesota, Wisconsin and Oregon regularly make the London Bridge Golf Club a stop on their winter golf tours. But the backbone of any golf club is the golfer who plays the course regularly. The Men’s and Women’s golf associations at the London Bridge Golf Club boast a combined membership of nearly 500, and several Leagues play the two courses on a regular basis including the East Course Ladies and Happy Niners’ for women and the Elks and Havasu Hackers for men. The Lake Havasu High School golf teams use the London Bridge courses for practice and tournament play.